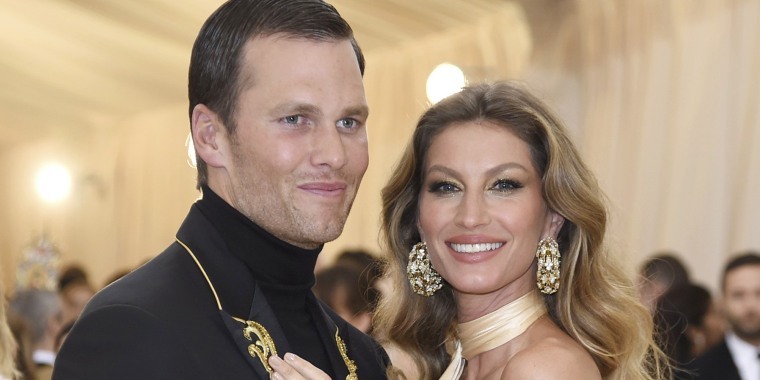 The views alone on Tom Brady and Gisele Bundchen’s New York City apartment are worth millions, and they come with a pretty swanky home to boot. The New England Patriots quarterback and supermodel are selling their four bedroom, 3,310-square-foot apartment for $13.95 million. Located in Manhattan's fancy One Madison building, the apartment has some of the most gorgeous views in the city. Sitting high on the 48th floor, the apartment’s corner living room looks out over the city’s skyline with a stunning view that includes the Empire State Building. The unit was designed by famed architect Peter Marino, who is known for his artistic and modern luxury projects. It also features elegant pieces by Hudson Furniture, which Bolla said the couple would possibly consider selling with the house if a buyer is interested. In the open living area, you’ll find an elegant kitchen with sleek wooden cabinetry and a marble island. A dining table sits off to the side, topped with a show-stopping chandelier that hangs above. The building features plenty of high-end amenities, including an indoor pool surrounded by marble-clad walls and a state-of-the-art fitness center. There’s also a gorgeous private dining room and catering kitchen that residents can use for parties. But with an apartment that stunning, whoever buys it will probably never want to leave it. See more pictures at the listing here.